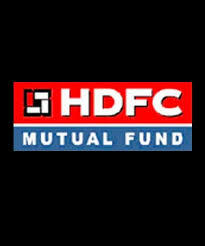 HDFC Mutual Fund has announced the declaration of dividend on the face value of Rs 10 per unit under normal and quarterly dividend option in retail plan of HDFC FMP 370D July 2008 (2). The record date for dividend has been fixed as 27 July 2009. The quantum of dividend for retail plan will be 100% of distributable surplus as on the record date. The NAV for retail plan – normal dividend option was at Rs 11.0138 per unit and Rs 10.3576 per unit for retail plan – quarterly dividend option as on 20 July 2009. HDFC FMP 370D July 2008 (2), a fixed maturity plan under HDFC Fixed Maturity Plans – Series IX, which is a close ended income scheme. The investment objective of the scheme is to generate regular income through investments in debt/money market instruments and government securities.